T-shirts are casual wear that can be worn when you change the oil in your car or clean the garage. It is also fashionable to wear them when you go out for a dinner date. 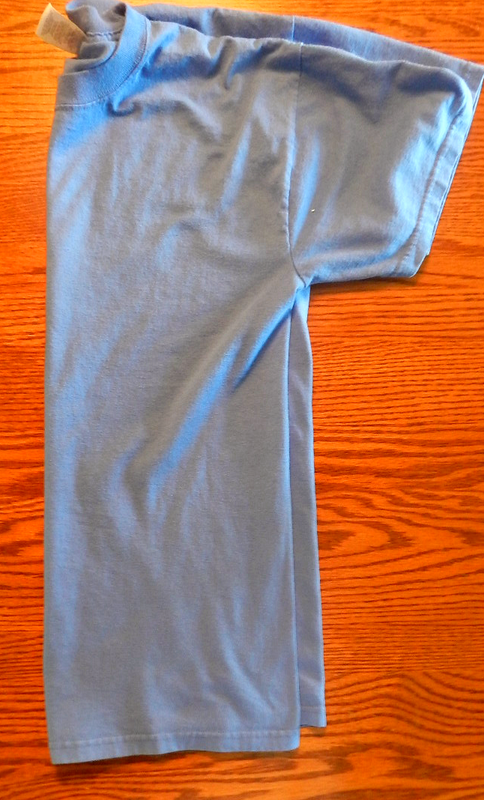 No longer are they restricted to “dress down.” T-shirt fabric wrinkles easily. 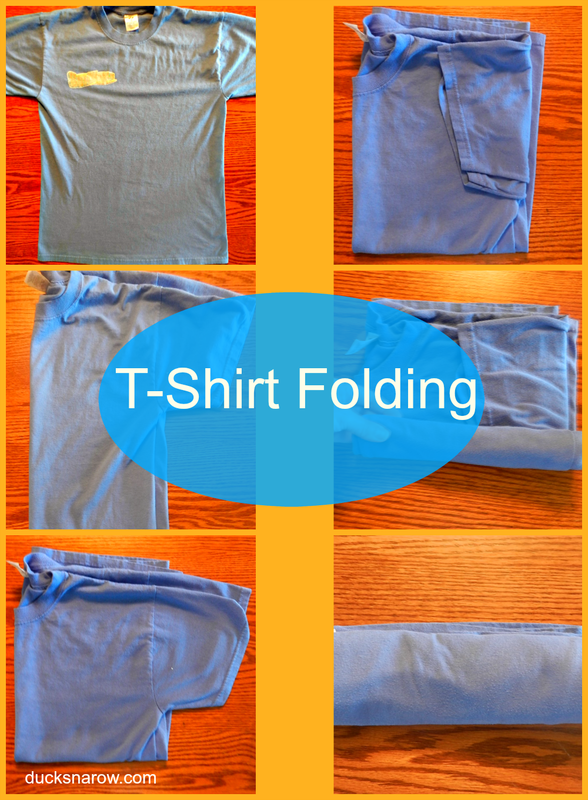 Here is a simple way to fold and store them so that you will always look nice. These particular t-shirts are actually old t-shirts that I had brought home from school to launder. 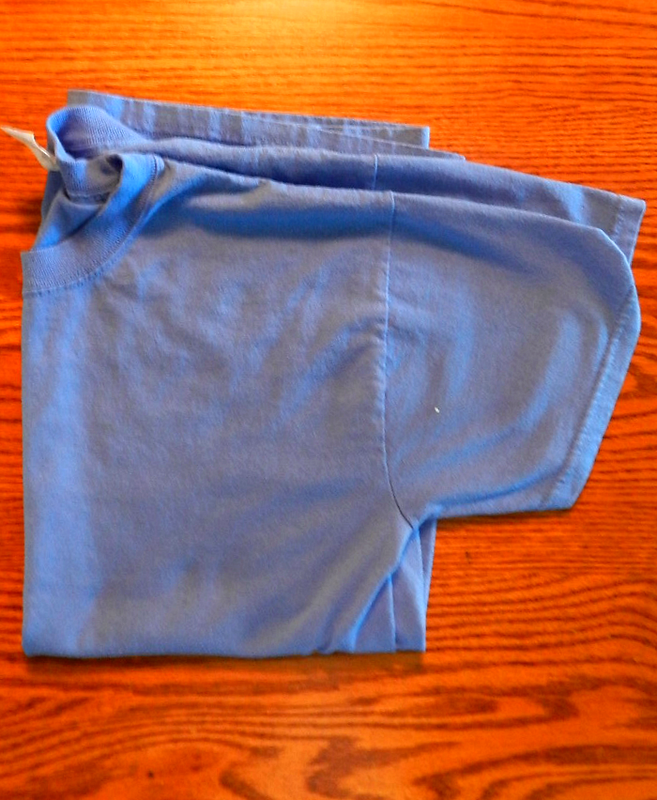 We use them as smocks in preschool so they are not in tip-top shape to begin with. 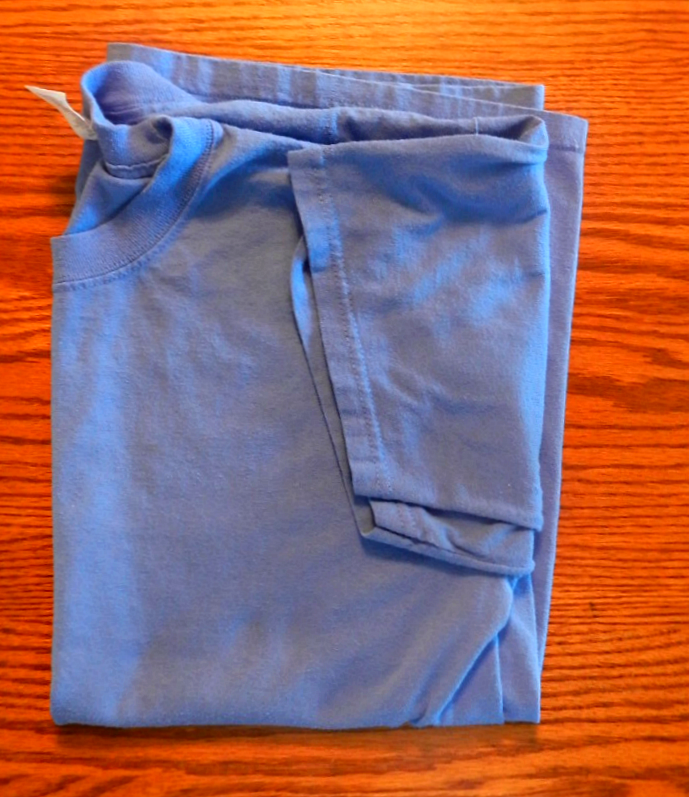 I rolled them for easy storage but this technique works to keep your good t-shirts neat and ready to wear. *It is a great way to pack them when you are going on vacation, as well. 1. 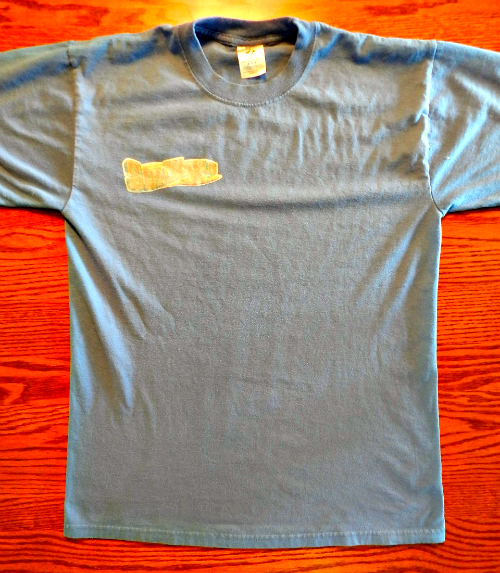 Lay the t-shirt out on a flat surface. 2. Fold in half, length-wise. 3. Fold in half, again, bringing the top to the bottom. 4. 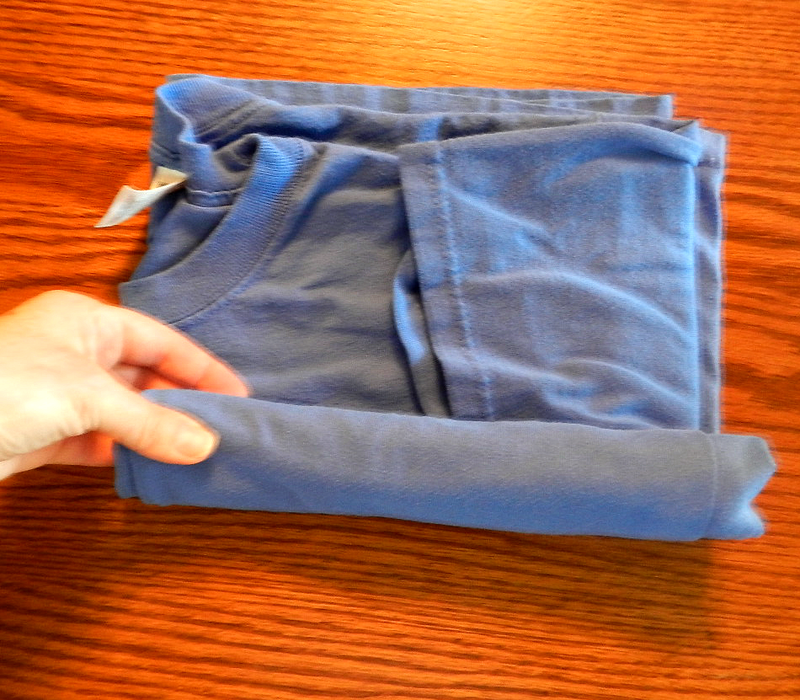 Fold the sleeves onto the body of the shirt. 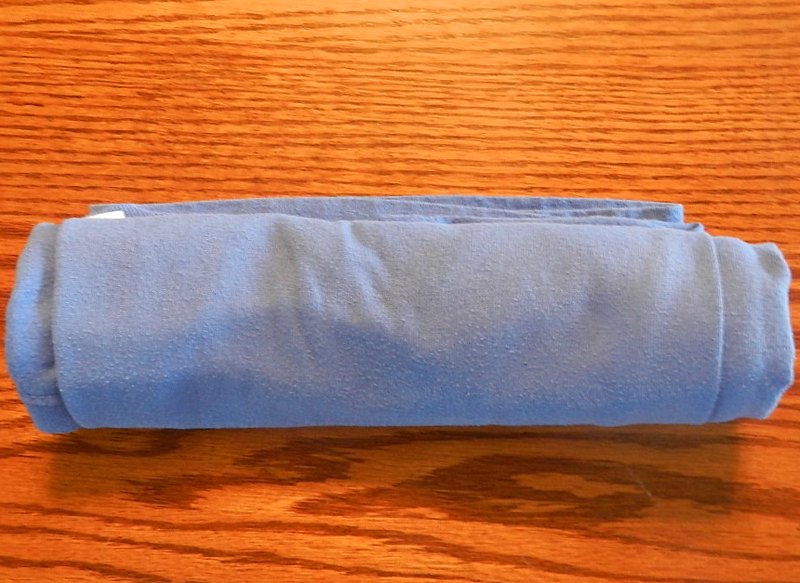 5.Roll the shirt into a tube shape, starting with the straight edge. Flashback: Wish I had discovered this technique a LONG time ago! It is so easy. When my son was little, I used to iron his t-shirts for school. How’d that get started? Well… I worked at a theatrical supply company where everyone wore t-shirts and jeans. No problem. But one of our most talented, successful employees often came to work in a t-shirt that looked like he had slept in it. It probably didn’t matter to our customers but it bugged me. Seemed like he should care more about how he looked for work. That’s when I decided to iron all of our t-shirts at home and hang them in the closet. It was a LOT of work! This method is so much better and faster. I just roll them and keep them in a dresser drawer. 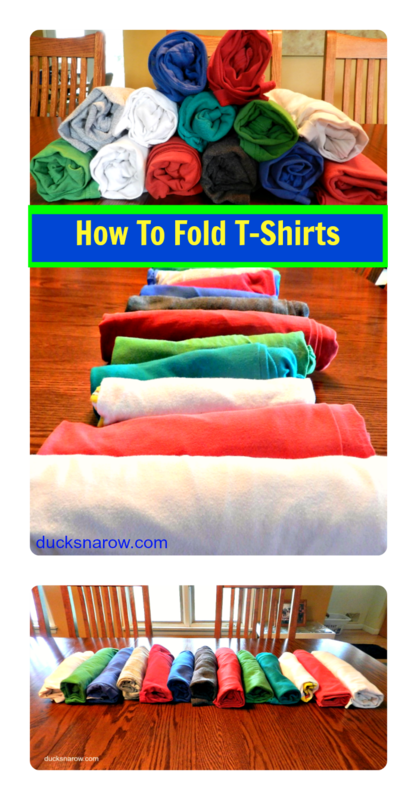 Do you fold your t-shirts or hang them? 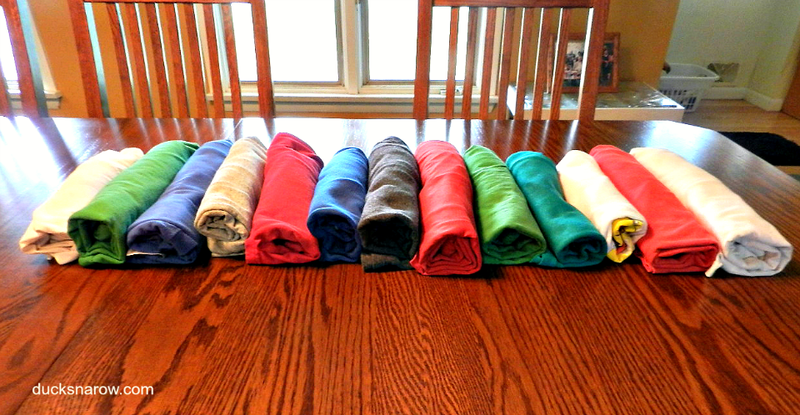 Buy a T-Shirt Folding Board.